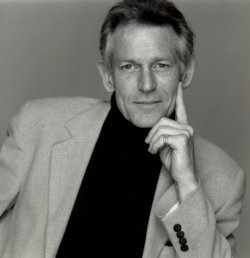 Born in New York City, Bill Berkson studied at Brown University, Columbia University, the New School for Social Research, and New York University’s Institute for Fine Arts. During the 1960s, Berkson took on editorial roles at ARTNews, Arts, and the Museum of Modern Art. He also served as the associate producer of a public television art program and taught literature and writing courses at the New School and Yale University. In 1970, Berkson moved to Northern California, where he began editing and publishing poetry books and magazines under the Big Sky imprint. He also taught in the California Poets in the Schools program. Berkson soon returned to regularly writing art criticism, contributing to publications such as American Craft, Aperture, Artforum, Art in America, Art on Paper, Modern Painters, and others. In 1984, he began teaching art history and poetry at the San Francisco Art Institute—where he also directed the Letters and Science and public lectures programs—until 2008. Berkson’s most recent poetry collections include Expect Delays (Coffee House Press, 2014) and Portrait and Dream: New & Selected Poems (Coffee House Press, 2009), winner of the Balcones Prize for Best Poetry Book of 2010. A prominent member of the New York School, Berkson was introduced to the poets, artists, and musicians of the school by Kenneth Koch, his poetry mentor. Berkson would form many personal and artistic relationships with these writers and artists, leading to collaborative projects such as Ted Berrigan with George Schneeman (Cuneiform, 2009) and Hymns of St. Bridget with Frank O’Hara (Adventures in Poetry, 1975). Berkson’s poetry is known for its variety, ranging wildly in approach, style, and subject matter. Berkson’s honors include two Fund for Poetry Awards, the San Francisco Bay Guardian’s Goldie Award for Literature, and a Poets Foundation Grant, along with fellowships from the Briarcombe Foundation, National Endowment for the Arts, and Yaddo. He divided his time between New York City and San Francisco. Berkson died on June 16, 2016.